In 2018, enterprise Voice over Internet Protocol (VoIP) has become standard infrastructure for many business communications systems. The businesses are likely to have invested for benefits like cost-savings, efficiency, flexibility and scalability. These benefits mean that enterprise VoIP deployments are expected to continue to grow. As this growth continues, how can your enterprise use the power of VoIP to expand and improve your business operations? Below Melissa Coen of West Unified Communications examines some of the important trends related to the direction enterprise VoIP is heading in 2018 and beyond. Over the past year, the popularity and diversity of mobile app usage has expanded significantly with the introduction of 5G technology and embedded or integrated apps across mobile devices. Apps like West’s Mobile Connect mobilise the office and give users a richer VoIP and unified communications (UC) experience. Going forward, smartphones will only be able to truly replace traditional phone systems when they can replicate all of their functionality. 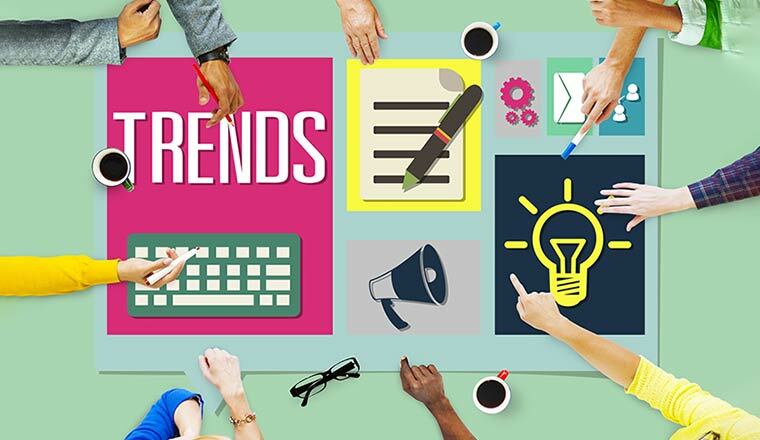 Trends to look for will include enhanced team collaboration, content sharing and additional meeting support. These expansions are a natural result of the rising number of Unified Communications as a Service (UCaaS) adoptions. Another enterprise VoIP trend related to mobile UC is something Apple calls “Continuity”. Continuity is defined as the ability to start a task on one device and have it carry over seamlessly across other devices. For instance, a task can start with the ability to take a call on a desk handset and then transfer it over to a mobile device, while keeping the call live. This is now being expanded to include real-time continuity for other UC implementations such as chat, conferencing, video and content sharing. Products like West Mobile Connect and Cisco Jabber fulfil the driving need for mobile UC and continuity. They both provide powerful feature sets that can be accessed across a variety of devices. AI is a cool trend in and of itself, but it can also be used in a myriad of ways to enhance enterprise VoIP systems. For example, AI might be used to seek out and automatically repair quality of service (QoS) issues caused by network issues or latency. This technology could heal the network before human involvement is required. It’s possible that AI will also be developed to improve UC applications such as analysing language patterns in voice conversations and emails in real time. Analysis like this could then generate important insights into business trends and sales data, resulting in improved marketing efforts and better customer service. This kind of AI technology is currently in the prototype stage as telecom developers continue to test its implementation possibilities. Finally, AI is also enhancing the capabilities of call answering via voice assistants. Improved language-processing AI technology in voice assistants – such as Alexa, Cortana and Siri – use AI to learn from their customer interactions. These assistants are gaining experience for improved interpretations of customer requests. In an enterprise VoIP application, voice bots could handle FAQ-type enquiries for customer service agents, enabling quicker issue handling and freeing up live agents to resolve escalated issues. With the ageing infrastructure of traditional copper landlines, many telecom companies are choosing to either replace them with fibre cabling or simply abandon them to focus on and invest in more wireless and VoIP networks. The telecom industry data estimates that nearly 42 million business users will be subscribed to VoIP services in 2018, which is almost double the number of VoIP implementations of four years ago. As the need for digital voice, video and data sharing among enterprises increases, so does the rate of enterprise VoIP deployments, and POTS no longer possesses the technology to meet these needs. Exploiting weaknesses and vulnerabilities on VoIP networks is not a new trick for cybercriminals. But, as VoIP continues to gain popularity, the number of attacks on VoIP networks has also continued to rise. Since VoIP sends calls through the same path your network uses for internet and other traffic, VoIP connections can open your network to attack and exploitation. This means network security will be more important than ever as organisations expand their use of VoIP and wireless networks. West’s MaxxSecure is a complete network security solution that can keep enterprise VoIP networks protected from current and potential threats. With a managed firewall, spam filtering, virus and spyware protection, web content monitoring and filtering, and virtual private networking (VPN), complete security solutions like MaxxSecure will ensure that the enterprise VoIP network remains properly secured and protected. In 2018, mobile phones are expected to be surpassed in numbers by IoT devices. And by 2020, around 26 billion objects will be connected to one another over the internet, according to estimates by Siemens. With device connectivity across the internet now in the zettabytes, enterprise VoIP will play an important role in controlling IoT office automation. VoIP-enabled phones and other devices will become common tools in the enterprise to perform activities such as reserving desk space for mobile employees or booking space for trade shows. And in that reserved space, employees could use interfacing IoT mobile apps to control and customise the lighting and set-up of their workspace – and maybe even to control the coffee maker! Business continuity: is voice over Internet protocol the answer? How Will the Internet of Things Change the Contact Centre?